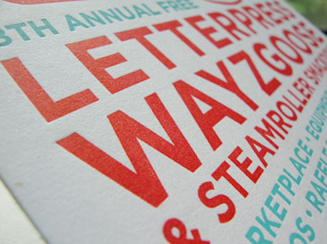 For over 16 years Seattle’s School of Visual Concepts has been celebrating the end of summer by opening up the doors of our letterpress classroom to the public, and hosting a Letterpress Wayzgoose and Steamroller Smackdown. 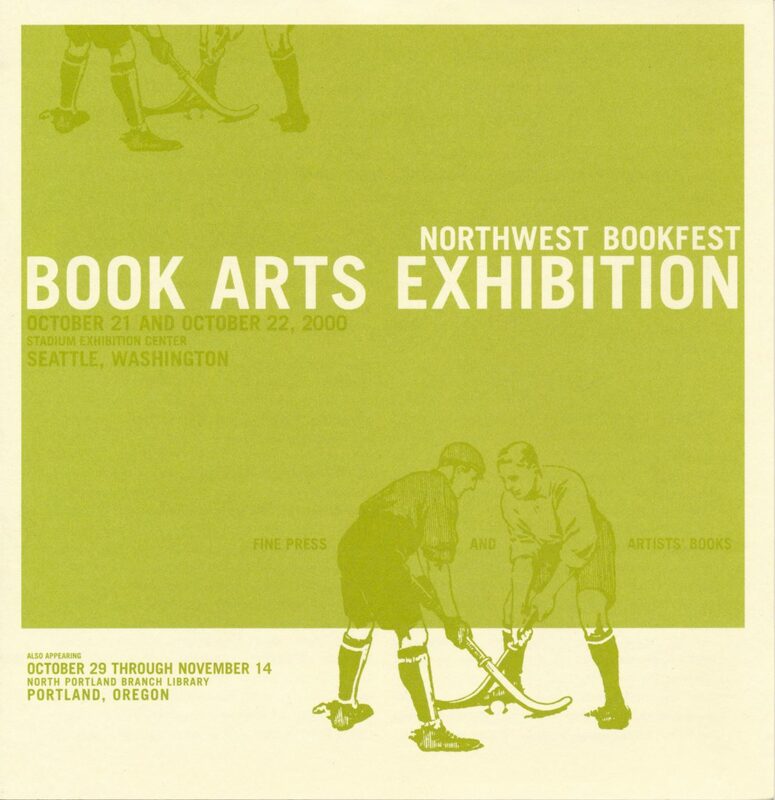 Now two separate events, this one-two punch of an event took place all on the same day in 2009, complete with letterpress vendors, food, music, and the good old-fashioned fun of smashing things with big machines. 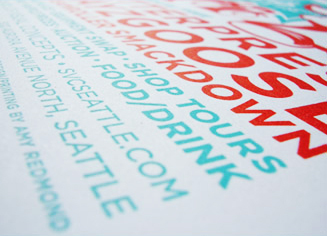 In addition to designing the postcard invitation, I also took on the letterpress printing of it at Amada Press, my private letterpress studio. 3000 cards, printed 2/1 (that’s more than 9000 impressions! ), is the largest run I’ve printed to date — and after four solid days of printing, I was glad to relax in a hammock while they dried. 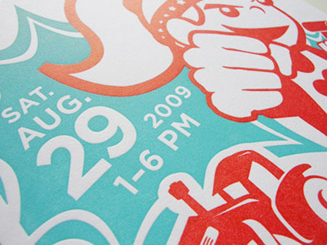 2009 also marked my debut year as a steamroller driver… which is how we print the giant 3×4 foot posters designed and carved in linoleoum by teams from local design/ad agencies. 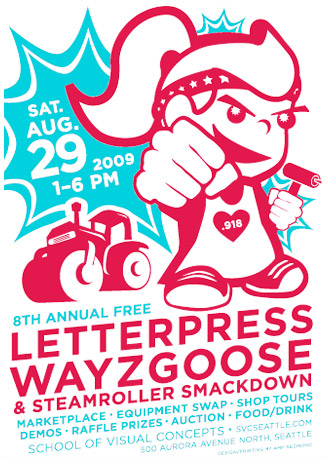 Now our famed Steamroller Smackdown takes place at the South Lake Union Block Party and enjoys sharing the stage with our ever-growing neighborhood community.